Or maybe you weren’t thinking that at all, but now you are because I brought it up. I’m not here to proclaim that I have discovered a new miracle food – an ancient plant that sheds unwanted pounds, curbs your appetite, supercharges your immune system, and contains so many antioxidants that the concept of infinity seems miniscule in comparison. Foods like that probably exist, but I’ll let someone else sell you on them. Rather, my intention in writing this article is a bit different. Really, it is. Your health can flourish with or without these products. Phew, take a breath. I just saved you some serious cash! However, I’m not going to let you off the hook that easily. If I did, my writing would be done for the day, but I would also be doing everyone a big disfavor. You see, while it may be easy to reject the whole concept of superfoods and much of what the movement stands for, there is some truth behind all the hype – enough that it may not be worth dismissing completely. Unfortunately, though, this truth tends to become slightly twisted, causing mass confusion and ultimately… poor decision-making. It’s true, which is why I have to pause and think whenever I hear someone declare that superfoods are bogus. Critics will claim that our bodies can function quite well so long as they are fed by apples, bananas, oranges, cruciferous vegetables, and other items found in the grocery store’s produce department. No need for superfoods, they say, as the true superfoods consist of our common fruits and veggies. But therein lies the problem: “quite well” does not equate to “optimal” when defining health performance, and relying on a diet of heavily domesticated foods has never been shown to generate exceptional health, especially when analyzing health across multiple generations. You see, many millennia ago, as the agricultural revolution commenced and subsequently accelerated, humans became very proficient at breeding many of the medicinal compounds out of the wild plants that once sustained our species. What we lost in medicine we gained in taste and size. The powerful medicines found in a wild plant – for instance, in wild cabbage (Brassica oleracea) – protect the species from predation and consumption in the wild. Through the process of breeding, these protective compounds are usually weakened and reduced in order to produce a tastier crop (think cauliflower). Without the original bitter compounds, the cultivated organisms cannot defend themselves quite as well as their wild counterparts can, and as a result, they generally require the services humans provide, such as adequate sun exposure, water, food, fencing, etc. Question: Have you ever seen cauliflower growing in the wild? Cauliflower is not strong enough to survive on its own. Through years of domesticating the Brassicaceae genus, most of the protective bitter compounds have been removed. Today we have “cauliflower,” or a subspecies of Brassica oleracea, and it absolutely requires the support of humans for its reproduction and survival. Cauliflower tastes great and has a healthy nutrient profile. It just doesn’t possess the same medicinal composition that a wild cabbage may contain. Whenever we eliminate wild foods (like the wild mustards) from our diets, and instead consume only highly-domesticated species, our bodies do not receive the full spectrum of nutrition and medicine we require for optimal health. As a result, we suffer. Generalizing this example to our apples, oranges, bananas, and most other cultivated foods found in the produce department of our grocery stores, one can begin to see why these foods may not provide all that we need for optimal health, for they themselves are lacking in their full expression of all that they could be. This is where the hype surrounding superfoods contains some merit. Many of us understand the importance of a diversified diet built around high quality foods, and we look to species that generally contain not only vitamins and minerals, but potent medicines and phytonutrients as well. Superfoods in the marketplace help us recognize that, yes indeed… an elevated class of food does exist! However, before ending this piece and calling it a day, there is some information regarding location that I’d like to discuss. And we’ll start by pondering this question: Must we scour the jungles and mountains from lands far, far away to receive our superfood fix? And here is where consumers tend to really get swept away by the hype. Most species glorified as superfoods hail from far away lands – the rainforests of the Amazon, the hills of China, the mountains of Peru. Let’s stop and think about this for a moment. Isn’t it interesting that very few superfoods are species that naturally grow within our immediate ecosystems? I mean, it’s as if a plant must grow at least 3,000 miles from our hometown in order to qualify. Were the Shawnee natives deficient in beta-carotene because they didn’t have access to goji berries? Are the Hadza hunter-gatherers lacking chlorophyll because they’re not drinking wheatgrass? Listen, I know that most of the “superfoods” on the market are legit. I enjoy goji berries as much as the next health-nut. I’ve had great success introducing quality Theobroma cacao into my diet. And wheatgrass… well, if you really enjoy the taste, more power to you. There are more than 8,000 species of grass (Poaceae spp.) on this planet though, and why wheatgrass is the Chosen One is anyone’s guess. But really, most of the currently marketed items are indeed quality products – if not in their plastic containers, then at least in their native habitats. Many of the products’ claims are supported by adequate research, and most species have been consumed, in one form or another, by traditional cultures for centuries. Surely, many people – past and present – have witnessed improvements in their lives through the consumption of these foods. I’ve seen it happen with numerous individuals, and I’ve experienced it myself. So it’s not as if we’re being sold bags of lies and containers full of deceit. No, these products are fine. It’s just that the inner-consumer inside of us can often be persuaded and tempted to purchase a novel product from a distant land – a must-have food that promises Health! Vitality! Longevity! – without pausing for a moment, taking a deep breath, and checking our backyard first. And that is what I encourage you to do. Check your backyard first. 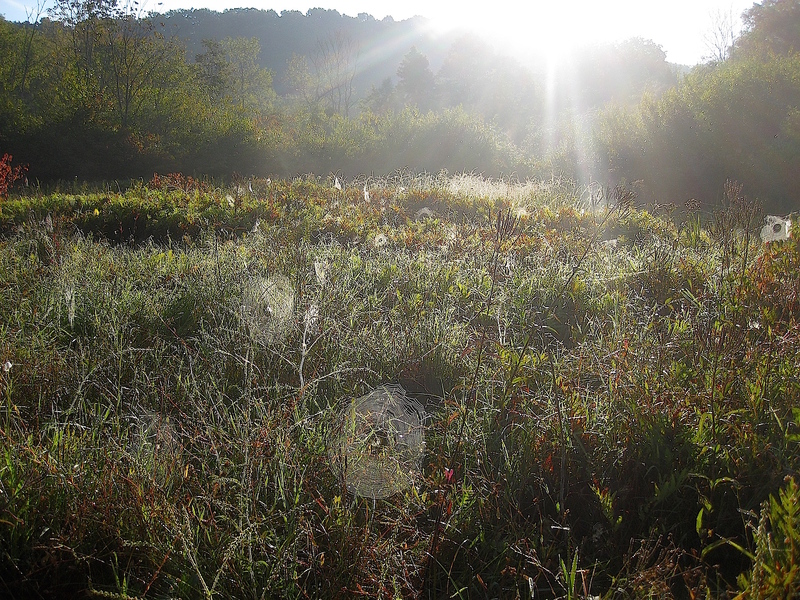 Then check the nearby parks, fields, woodlands, forests, mountains, bogs, and so on. No, not for bottles of açaí juice. Not even for fields of green coffee beans. We’re talkin’ ’bout the wild species that naturally inhabit these areas! Remember, “superfoods” are found in all inhabitable ecosystems – not just ones characterized by 4 walls, automatic sliding doors, fluorescent light bulbs, beepin’ cash registers, and lots of manicured species on display. As I alluded to before, true superfoods comprise the wild foods that inhabit the landscapes within which we live. Okay. Here are a few. In the past decade or so, health professionals have been geeking out over flax and chia seeds – two good sources of α-linolenic acid (an omega-3 fatty acid) – shifting purslane, a wild green that thrives in disturbed areas, into obscurity. 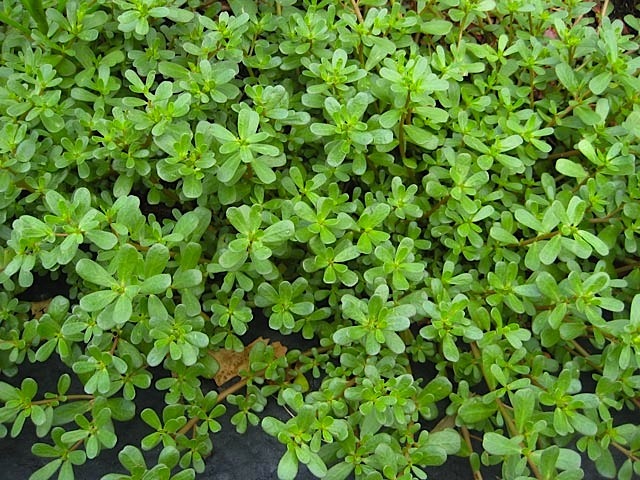 It’s unfortunate, as purslane (Portulaca oleracea) is an excellent source of α-linolenic acid, containing between 300-400 milligrams per 100 grams of fresh material. Purslane also contains impressive levels of potassium, magnesium, and calcium, while additionally providing gamma-linolenic acid (an omega-6 fatty acid) and α-tocopherol (a form of vitamin E). And then there are the mushrooms. Yes, shiitake is an excellent food and medicine, and indeed it can be cultivated here in Pennsylvania. The wild maitake mushroom (Grifola frondosa), however, is truly a superfood in every sense of the word. Research suggests that, in addition to providing the body ergocalciferol (vitamin D2), maitake can protect the body against various cancers. Maitake has also been shown to support the immune system, regulate healthy blood sugar levels, and provide numerous dietary antioxidants. In addition to these 2 species, the list goes on. Morels? Yes, they count. Nettles? Certainly. So, we really do need superfoods, huh? Yes, we do require superfoods for optimal health. We need species that are strong, robust, wild, and very fit for their environments – species that contain their full spectrum of nutrients and medicines. Step outside… they’re all around you! Well, not in a creepy kind of way. But in a “Won’t you take me home?… I’d be happy to give ya some of those missing medicines” kind of way. We must supply our bodies with foods that not only provide macronutrients, vitamins, and minerals, but also with the medicines which, once upon a fruitful time, granted our species exceptional health. The packaged ones on display? Maybe. Well, how about the ones in our ecosystem? Ah, now we’re getting somewhere. Yes, those wild and plentiful species are the true superfoods that our bodies desire and require. Oh, and did I mention they’re free? Because, well… they are! Thanks for reading, and as always… happy foraging! If you’ve ever tapped a maple tree, surely you’ve tasted the fresh sap – unprocessed and unboiled – straight from the tree. If you have never tapped a maple tree, perhaps you’ve got one of those nice neighbors who generously shares his or her bounty of maple sap. Or perhaps you’ve even purchased and consumed any of the various “maple waters” on the market today. And if you have no idea what I’m talking about (…tree sap? What the heck is that? ), allow me to put this into context. In late winter/early spring, sap rises in certain trees (i.e. maples and walnuts) due to temperature fluctuations – notably, the freeze/thaw cycle. In other species (i.e. birches), sap flow is governed by root pressure that forms once soil temperatures reach approximately 50° Fahrenheit. This sap contains water and dissolved nutrients (i.e. sugars) that travel up towards the branches, feeding the developing leaves. If you’re interested in learning which trees produce sap during this season, check out this recent video I filmed. In it, I discuss key identifying characteristics regarding 4 tappable trees, including 2 maples and 2 birches. Whenever these trees are wounded during this particular season, sap will flow from inside the trees (sapwood) out through their wounds. Such is the case whenever we tap a tree by placing a hole into its bark. This sap, after collection and prolonged exposure to heat, can be eventually reduced into syrup. But wait! Before we boil down our precious sap, transforming it into one of nature’s finest sweeteners, we can appreciate this subtly-sweet liquid for all that it is. In other words, we can drink it. Call me old school, but I like to drink sap unprocessed, consuming whatever I can at the source and storing the rest in containers. Now, I am familiar with the warning that one ought to boil the sap first, as there’s a possibility that it may harbor pathogenic organisms. If we’re managing a clean operation, however, I believe this fear isn’t always warranted. Still, use your best judgement. Maple sap, depending on the species, contains varying levels of sugars – notably sucrose. Sap from the sugar maple (Acer saccharum), for example, is approximately 2% sugar. For the wild food chemists: Sucrose, commonly known as “table sugar” — the predominating sugar in maple sap. For this reason, maple sap imparts a delicate, sweet taste to the palate, one that becomes extremely concentrated during the sap’s conversion into syrup. While I certainly enjoy maple sap for its delectable late-winter sweetness, I also appreciate its content of vitamins, minerals, enzymes, amino acids, polyphenols, and other health-promoting compounds. You see, many people are aware that maple syrup confers numerous health benefits, typically dependent to some degree on color. In this article, I’d like to explore the health benefits associated with its often overlooked forebear, a mystifying substance that surely deserves more attention. While maple syrup is certainly beloved by its largest producer, North America, perhaps no other country utilizes and appreciates maple sap more so than South Korea. It is here where villagers climb the hills every year to collect sap from a maple tree known as “Gorosoe” (Acer mono). This tradition spans almost an entire millennium. Traditionally, villagers would create V-shaped incisions into the trees and channel the sap away with bamboo leaves. Today, the operation is much more modernized, incorporating plastic spouts, tubing, and large holding tanks. Unlike in North America where most sap is turned into maple syrup, Koreans drink the sap with no further processing, or instead use it as cooking water. “Gorosoe” translates to “the tree that is good for the bones.” Sure, the name sounds promising, but is there any truth to it? For starters, sap from Acer mono has been shown to contain an impressive mineral analysis, including 16 times the potassium, 37 times the calcium, and 3.9 times the magnesium contents of spring water. All 3 of these minerals are essential for optimal bone health. To test the bone-supporting effects of maple sap on biological systems, researchers carried out experiments where they put mice on low-calcium diets and supplemented them with various concentrations of A. mono sap (1). Mice who were supplemented with both 50% and 100% maple sap concentrations retained normal serum calcium levels, compared to the lower serum calcium levels of mice fed spring water only and 25% maple sap. Additionally, in the spring water-fed and 25% maple sap-fed groups, thigh bone density and length were significantly reduced, compared to the mice fed higher concentrations of maple sap. The researchers concluded that 50% sap solution could mitigate osteoporosis-like symptoms induced by a low-calcium diet, and they attributed its mechanism to calcium ion absorption. Injury to the mucosal lining of the stomach can lead to stomach ulcers. Common causes include infection by the bacteria Helicobacter pylori, long-term use of nonsteroidal anti-inflammatory drugs (NSAIDs) such as aspirin and ibuprofen, and excessive consumption of alcohol. If stomach ulcers are left untreated, they can eventually lead to gastric cancer. Can something as simple (and tasty) as maple sap prevent these conditions from occurring? Researchers think so. One group received L-arginine, an amino acid known to prevent stress-induced gastric mucosal lesions. A second group received omeprazole, a prescription drug used to treat stomach ulcers. A third group received a freeze-dried powder of Acer mono sap. A fourth group (the placebo group) received a single saline administration. Results were … well … quite impressive! After being subjected to the stress experiments for 6 hours, the mice in the placebo group displayed abundant lesions, on average 1-2 mm in size. The mice who received L-arginine and omeprazole developed very few lesions. Remarkably, the mice who received maple sap prior to the stress experiments did not present any small or large sized corrosions. In other words, not only was maple sap effective, it was more effective than L-arginine and omeprazole in protecting against gastric mucosal lesions. The mechanism behind maple sap’s protective effects seems to be related to its ability to significantly lower the mRNA expression of iNOS and nNOS, two enzymes that have been shown to play key roles in the formation of gastric lesions. 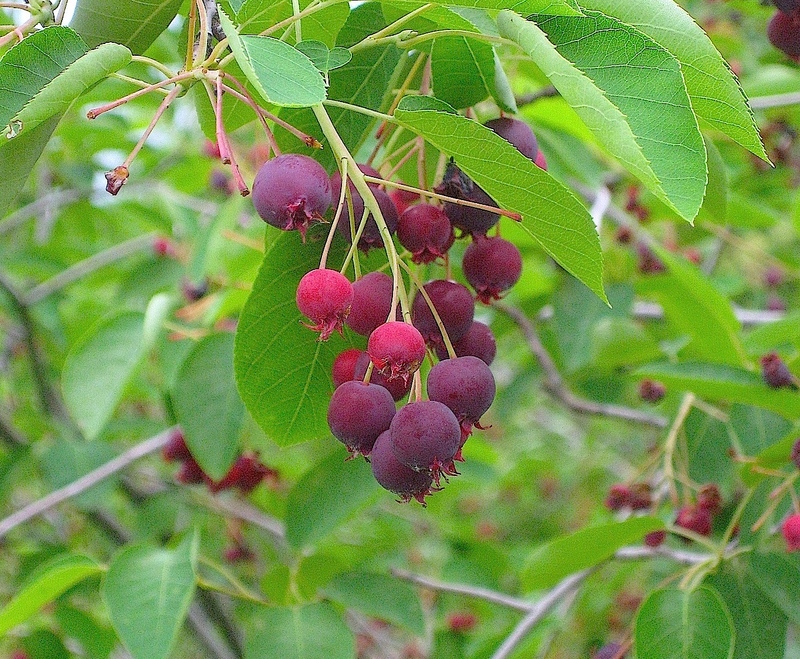 Researchers concluded that A. mono sap can be used as an ulcer remedy or for other preventive and nutraceutical purposes. 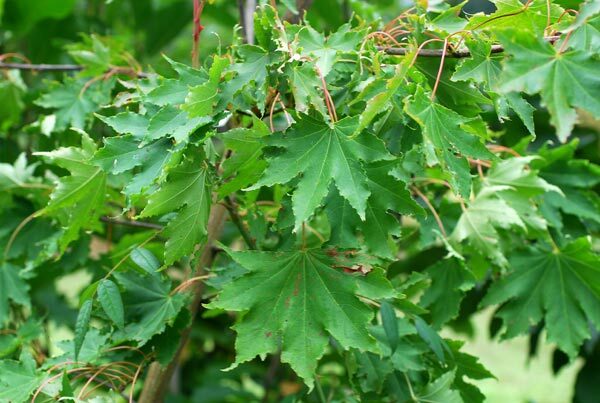 Like Acer mono, Acer okamotoanum is another species of maple found in Korea. 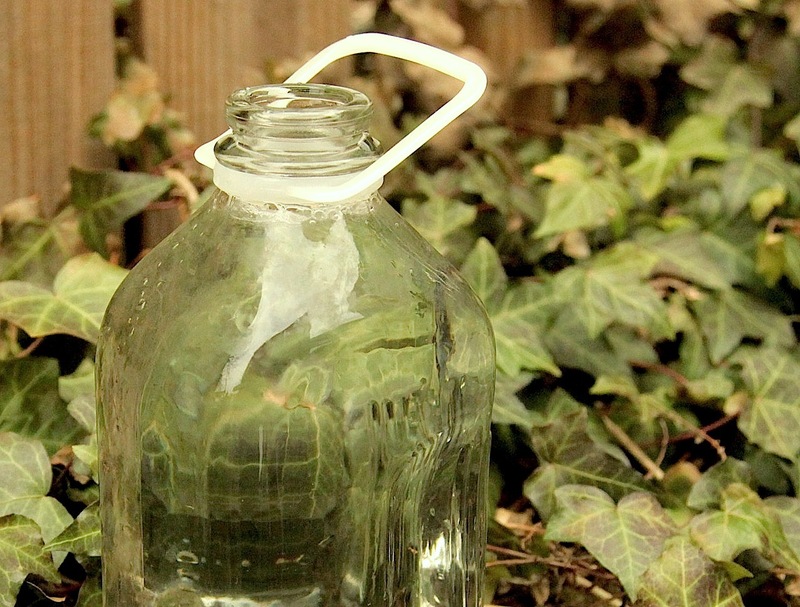 Sap concentrations of calcium, potassium, and magnesium are 37, 20, and 3.9 times higher than the levels found in spring water. Just as calcium and potassium are two minerals that function in supporting optimal bone health, they also play a role in regulating blood pressure. To test the blood pressure-lowering effects of A. okamotoanum sap, researchers fed hypertensive rats spring water supplemented with 25%, 50%, or 100% maple sap (3). Compared to the rats fed only commercial spring water, the rats supplemented with all concentrations of maple sap experienced reductions in blood pressure. 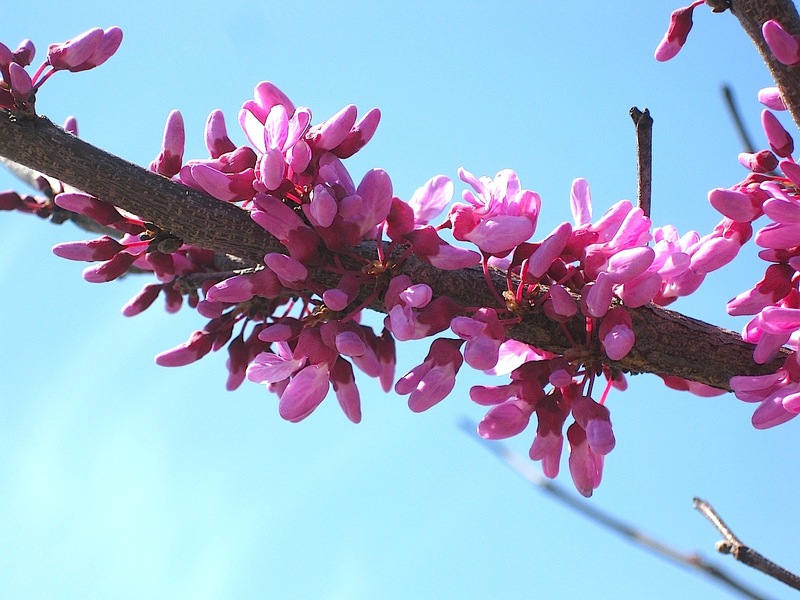 Researchers attributed the blood pressure-lowering effect of A. okamotoanum sap to its concentration of potassium ions. As an added benefit, body weight also decreased in the rats fed 50% and 100% maple sap concentrations. As previously stated, A. okamotoanum sap contains various electrolytes (the dissolved mineral ions of calcium, magnesium, and potassium). Because alcohol consumption has a physiological effect on the absorption, elimination, and serum concentrations of electrolytes and minerals, researchers wanted to see what effect, if any, A. okamotoanum sap had on alcohol metabolism in rats. Researchers administered concentrations of 25%, 50%, and 100% maple sap to rats, 30 minutes prior to receiving alcohol (4). Compared with the rats fed alcohol without any maple sap, the rats who were pretreated with maple sap demonstrated significant reductions 5 hours later in the blood concentrations of both alcohol and acetaldehyde – a toxic byproduct of alcohol metabolism. Additionally, mRNA expression of alcohol dehydrogenase (ADH) and aldehyde dehydrogenase (ALDH), two liver enzymes necessary for alcohol metabolism, was significantly increased in the rats pretreated with maple sap (increased is a good thing in this case). The results suggest that, at least in rats, consuming maple sap prior to ingesting alcohol can increase the rate at which alcohol is metabolized in the body. The researchers also concluded that maple sap may reduce oxidative stress associated with alcohol consumption. Should’ve consumed maple sap first! Whenever our bodies are exposed to pathogenic microbes, our immune systems heed the call to action. In particular, white blood cells known as neutrophils congregate at the site of infection and engulf (think swallow) the offending microbes. Once the pathogens are engulfed, enzymes within our bodies generate substances known as reactive oxygen species (ROS) that, through oxidation, eliminate the bad guys. This latter process – of generating reactive oxygen species – is necessary in order to remove pathogens, but it can also inflict damage inside our bodies. Oxidation is an on-going process, but too much of it can be a bad thing. Regulation, therefore, is necessary in order to balance this delicate dance between eliminating pathogens while minimally damaging host tissue. Maple sap (A. okamotoanum) may indeed help. To test this hypothesis, researchers treated mice, rats, and canines with a compound known to impair the immune system, then administered increasing concentrations of A. okamotoanum sap (5). Results showed that treatment with maple sap stimulated the activity of neutrophils (immune cells) in mice, rat and canines. Additionally, the sap enhanced the last step in this process – the elimination of microbes using ROS. While this study was performed on animals, the researchers concluded that A. okamotoanum sap may have potential antimicrobial effects for patients with infection. As mentioned previously, oxidation is a natural process in the human body that, if left unchecked, can result in conditions such as atherosclerosis, diabetes, and Alzheimer’s disease (just to name a few). Antioxidants combat the process of oxidation, and can be produced internally as well as provided externally through the consumption of antioxidant-rich foods – for example, the sugar maple. 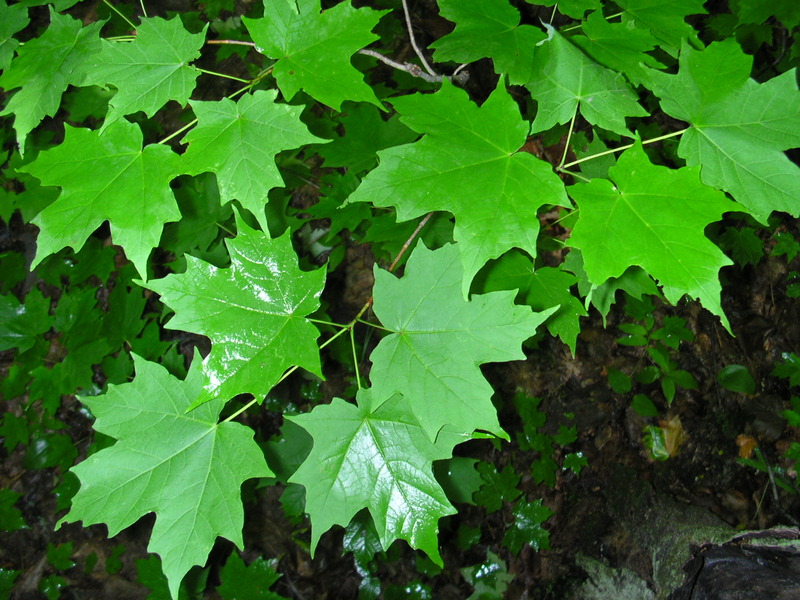 The sugar maple (Acer saccharum), a species native to North America, yields the highest volume and concentration of sap, making it a superior candidate for tapping. Its sugar content is approximately 2.0%. Antioxidants within the sap of A. saccharum have the ability to scavenge the superoxide radical (6) – a potentially destructive molecule that has been implicated in numerous diseases, including diabetes and cardiovascular disease (7, 8). Out of 10 compounds analyzed in sugar maple sap for their antioxidant effects, only 3 of these are found in maple syrup from the sugar maple. What this means is that several antioxidant compounds are seemingly lost in the transformation from sap into syrup. Perhaps this is one of many benefits to consuming maple sap in its fresh form. Summary of health benefits: Sap from various maple trees has been shown to provide support for osteoporosis, prevent gastric ulcer formation, lower blood pressure, mitigate alcoholic hangovers, support a healthy immune system, and offer dietary antioxidants. Now, I understand that most of the research cited in this article involved animals as test subjects. We – Homo sapiens – are animals, sure, though clearly not of the mouse, rat, nor dog type. Therefore, the academic in me will say that “though certainly promising, we cannot entirely extrapolate these findings to humans.” Very dry, I know. But really, researchers will claim that just because maple sap lowers blood pressure in rats doesn’t mean that it’ll do the same to you and me. Also, I understand that most of the research on maple sap pertains to species of maple that aren’t native to the continent that produces the most maple syrup. Out of the 6 primary research articles I reviewed, only one used the species of maple nearest and dearest to most American tapping enthusiasts – the sugar maple, Acer saccharum. Therefore, we cannot definitively say that the sap from all species of maple will produce the exact same effects on biological systems. However, the benefits outlined in this article should not be dismissed solely because animals were the test subjects, or because geographically-irrelevant tree species were used. That’s nonsense. There is no doubt that all maple sap, regardless of species, possesses an array of physiologically-active compounds including vitamins, minerals, polyphenols, and antioxidants that all confer important health benefits. For example, sap from both the sugar and red maple (A. rubrum) has been shown to contain compounds that demonstrate anti-cancer effects (9). Sap from the sugar maple has also been shown to inhibit nitric oxide formation, a process implicated in numerous diseases (10). If you ask me, I’d say that all maple sap possesses therapeutic potential, and I certainly wouldn’t limit the benefits to only a handful of species. Additionally, I feel that not only can one acquire substantial benefits by consuming pure maple sap – straight from the tree, no further processing necessary – but I feel there’s another level of therapy to be gained through the actual process of harvesting the sap oneself. No middle man or woman… just you and the maple tree, joined together in communion by the elixir that imbues life to both it and you. The chance of an American man developing cancer in his lifetime is 1 in 2. The chance of an American woman developing cancer in her lifetime is 1 in 3. …no really. Think about it. To me, that seems just a bit nutty, though I’ll leave it at that for now. Browsing the scientific literature, it’s apparent that numerous variables are involved in cancer development, including pesticides, asbestos, synthetic chemicals in our food, genetics, cell phone exposure, and weight. The list goes on (2). Needless to say, many Americans will develop some form of cancer in their lifetime. And many will take action by seeking conventional medical treatment. Fair enough. This is not a website telling people what they should or should not do regarding their health. I write articles that provide information based on evidence. What people do with this information is up to them. Having said that, there’s a mushroom that individuals with cancerous conditions may find interesting. This particular fungus is known as the blushing wood mushroom (Agaricus silvaticus) – a species that can be harvested from the wild in North America and Europe. It’s a popular edible mushroom (reported to be quite tasty, though I’ve never partaken), and many people know it only as such. There’s more to the blushing wood mushroom than just a tasty meal, however. Agaricus silvaticus helps individuals cope with cancer. We’re not talking about rats, nor cellular cultures in petri dishes. We’re talking about real human beings – people with cancer who have directly improved their outcomes by consuming this mushroom. I hear ya. Before we write this off as alternative medicine quackery, however, let’s take a few minutes to explore this a little further, shall we? Many mushrooms have exhibited anti-cancer effects in numerous studies. Reishi, cordyceps, and Antrodia salmonea are just a few examples. 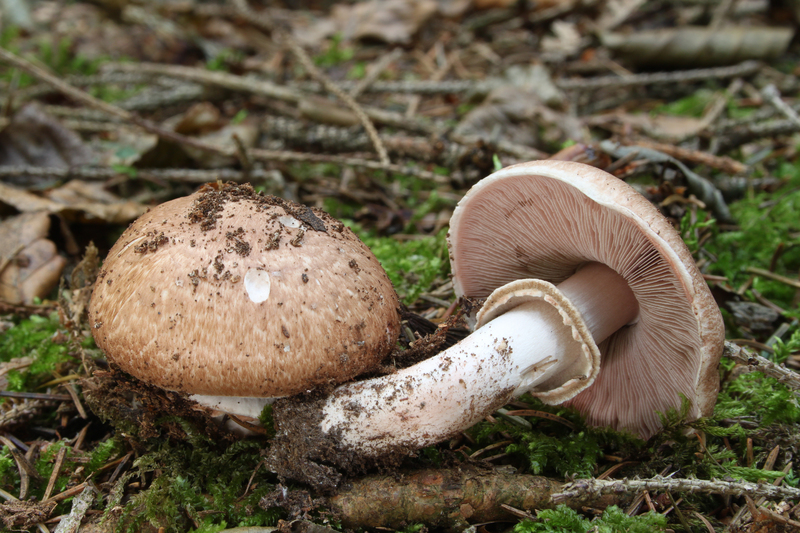 The blushing wood mushroom is unique, however, in that most of its research involves its effects on the treatment of individuals with cancer. For example, a study spanning two years involving breast cancer patients undergoing chemotherapy found that the patients who ingested Agaricus silvaticus tablets improved their nutritional parameters and experienced less side effects from drugs, including bowel dysfunction, nausea, vomiting, loss of appetite, and fever compared to the placebo group (those who did not receive the mushroom). In patients with 3 chemotherapy cycles, 30% of patients in the placebo group reported a reduction in appetite, compared to 0% of patients consuming A. silvaticus after 3 months of treatment. In patients with 6 chemotherapy cycles, 80% of patients in the placebo group reported poor appetite, while reports of poor appetite reduced with time in the A. silvaticus group after 6 months of treatment. After 6 months of treatment, 70% of patients in the placebo group experienced fever, compared to 0% of patients consuming A. silvaticus. This randomized, placebo-controlled, double-blind trial demonstrated not only the effectiveness of A. silvaticus in patients undergoing treatment for breast cancer, but the safety of its ingestion as well. In addition to breast cancer, additional studies have analyzed the effects of A. silvaticus on the treatment of colorectal cancer. The lifetime risk of acquiring colorectal cancer is 1 in 20, and of the cancers that affect both men and women, it is is the 2nd leading cause of cancer-related-death in the United States (4). A series of randomized, double-blind, placebo-controlled clinical trials demonstrated the therapeutic effects of A. silvaticus on patients undergoing treatment for colorectal cancer in Brazil. One study found that colorectal cancer patients who consumed A. silvaticus (30 mg/kg/day) while recovering from surgery experienced a significant reduction in fasting blood glucose levels that remained in the healthy range. Blood glucose levels in the placebo group increased, however, nearing prediabetic levels (5). A second study in this series found that patients consuming A. silvaticus (30 mg/kg/day) while recovering from surgery experienced a significant reduction in fasting plasma glucose, total cholesterol, and blood pressure levels, compared to patients in the placebo group. Overall, the researchers concluded that supplementation with A. silvaticus provided metabolic benefits to biochemical, enzymatic, and blood pressure parameters of post-surgical colorectal cancer patients (6). A third study found that supplementation with A. silvaticus (30 mg/kg/day) produced significant benefits in hematological (blood and bone marrow) and immunological parameters of colorectal cancer patients in the post-surgical phase. Patients in the placebo group experienced no significant changes (7). And yet another study in this series discovered that supplementation with A. silvaticus (30 mg/kg/day) improved overall quality of life in post-surgical colorectal cancer patients, compared to the placebo group. Such improvements included better mood and appetite with reduced complaints regarding restless sleep, gastrointestinal (GI) issues, and nausea. These improvements were not seen in the placebo group (8). What makes Agaricus silvaticus so beneficial? It’s difficult to pinpoint exactly how the blushing wood mushroom imparts its beneficial effects on cancer patients. If we look at the nutrient and chemical composition of A. silvaticus, however, we may discover pertinent clues. The blushing wood mushroom comprises approximately 36% carbohydrates, 7% lipids (fats), and 41% protein – the rest being water, ash and fiber. For a mushroom – and in fact for any edible food – this is an extremely high proportion of protein. You see, protein is an essential macronutrient, not just for maintaining balanced health, but particularly for recovery from trauma, i.e. surgery (9). In the instance of surgery, extra protein is required for tissue maintenance and wound repair. Surgical outcomes can be improved with a higher protein diet, and perhaps the supplementation of a high protein fungus – in this case, A. silvaticus – helps to achieve this goal. What’s more, the blushing wood mushroom is a complete protein source with high biological value (easily used by the human body). Of course, elevated protein needs cannot be met with A. silvaticus consumption alone, though as shown in the aforementioned studies, it may help. Looking deeper into the nutritional profile, the blushing wood mushroom contains a very high concentration of iron, zinc, copper, and potassium, with adequate amounts of calcium and magnesium, among other minerals. It is also a good source of vitamin C (10). In addition to its nutritional value, the blushing wood mushroom may aid the body by imparting antioxidant effects. In a study evaluating the antioxidant potential of 5 Agaricus mushroom species, A. silvaticus demonstrated the highest “antioxidant power” of all species tested (11). In corroboration with this discovery, the antioxidant-rich blushing wood mushroom has previously been used to reduce oxidative stress in children with HIV (12), and to prevent the development of atherosclerosis in rabbits (13). Research has repeatedly shown the benefits of consuming an antioxidant-rich diet, especially for its role in protecting against cancerous conditions (14). Perhaps it is this large “antioxidant power” of the blushing wood mushroom that, in addition to reducing oxidative stress and preventing atherosclerosis, also helps individuals cope with cancer. By now you may be asking, “Where do I find such a mushroom?” As it turns out, I have yet to find any A. silvaticus supplements, or any retail supermarkets selling this mushroom (if your experiences differ, please let me know!). It’s a good thing we discuss the foraging lifestyle here at Wild Foodism, else we’d be shrugging our shoulders, calling it a day. The blushing wood mushroom grows in the coniferous woods of North America and Europe, generally from summer through autumn. Aptly named, its cap and stem quickly turn red when bruised, and its gills – initially pink – become darker with age. A. silvaticus produces a brown spore print. For a detailed description of this mushroom, check out the entry created by Rogers Mushrooms. In summary, the blushing wood mushroom (Agaricus silvaticus) is an edible fungus whose utility extends beyond the arena of food into the realm of cancer treatment. Studies have shown that ingesting A. silvaticus supplements can improve the nutritional parameters, biochemical markers, and overall quality of life in individuals with breast and colorectal cancers. Its high protein and mineral content, in addition to its antioxidant power, may contribute to its physiological benefits. Pretty impressive, wouldn’t you say? Mushrooms for the win, yet again! A new study was published in the journal, Nutrition Research, comparing the excellent eye health of the Kawymeno Waorani hunter-gatherers in Amazonian Ecuador to the deteriorating eye health of the neighboring indigenous Santa Teresita Kichwa farmers. The title of the article is “A phytochemical-rich diet may explain the absence of age-related decline in visual acuity of Amazonian hunter-gatherers in Ecuador,” and the abstract can be found here. There are several key takeaways that I’d like to discuss, as many of them (if not all) can apply to the choices modern humans face. Some of them seem obvious, while others may surprise you. •The Waorani hunter-gatherers consume an average of 130 animal and plant species as part of their diet. The Kichwa farmers consume about 64. •It appears that phytochemicals in the wide variety of plant foods confer the most benefits toward eye health in the hunter-gatherer population. •Fruits (about 76 different species) provide the majority of phytochemicals to the Waorani diet. •According to one Waorani hunter-gatherer, “Wao do not like vegetables, we only like fruit.” They even express disgust when they see vegetables being consumed. Their food system has no other vegetables other than 3 species of starchy tubers – cassava (Manihot esculenta) and sweet potatoes (Ipomoea batatas, Pachyrhizus angulatus) – one wild grain/root, and wild peanuts (Arachis sp.). •This is a big one: Even though the Kichwa farmers consume a diet rich in organic, agriculturally produced vegetables, it’s still not enough to preserve eye health, which begins to show signs of deterioration in the 40-49 age range. •These results are fascinating particularly because the Kichwa farmers do not read, use the computer, or do close visual work, which are all variables that contribute to vision problems in modern societies. Yet the Kichwa still show signs of eye diseases similar to what we see in Western populations. •This isn’t the first study showing a stark contrast between excellent eye health in hunter-gatherer populations, compared to deteriorating eye health in nearby agrarian communities (1, 2). Once again, we are provided evidence that a hunter-gatherer lifestyle is anything but deprivation, hardship, and famine. What can we learn from this study? Even organically raised food may not be enough to protect against age-related vision problems. Eat a variety – a very, very large variety – of foods rich in phytochemicals. Too often when discussing the health benefits of wild plants, emphasis is placed on the obvious. For example, the scientific literature abounds with research specifically on fruits from the Rosa genus, and it is commonly reported that some species of rose contain 20 times the vitamin C content of an orange. But if we dig a little deeper, we soon discover that the seeds within the hips of roses also pack a nutritional punch, although in a slightly different way. Research has demonstrated that seed oils from roses contain nutritionally and physiologically important fatty acids, including oleic, linoleic, and linolenic acids, as well as several forms of vitamin E, including α-tocopherol, β-tocopherol, and γ-tocopherol (1). Another example of the obvious … grapes. Of course, most nutritional love is directed toward the fleshy portion of the fruits. Browse any grocery store, and the dominating seedless varieties will corroborate this. But many a supermarket shopper will forget, however, that the juicy, sometimes-too-sugary grape, in its natural state does indeed contain reproductive structures – which just so happen to also be quite nutritious. Research has shown that seeds from the common grape (Vitis vinifera) contain significant levels of calcium, magnesium, phosphorus, and potassium, as well as 8.2% protein, 14.0% fat and 38.6% fiber by dry weight (2). Remember, these are the seeds we’re talking about … not the actual fleshly fruit. And then there is purslane (Portulaca oleracea) – that low-lying, succulent-resembling, ubiquitous plant (a “weed” to some) that forms extensive mats amongst gardens, fields, and disturbed habitats here in western Pennsylvania. Purslane, it is frequently reported, is the leading land-plant source of α-linolenic acid (an omega-3 fatty acid), containing between 300-400 milligrams per 100 grams of fresh material. Purslane also contains impressive levels of potassium, magnesium, and calcium, while additionally providing gamma-linolenic acid and α-tocopherol. Clearly, purslane is a nutritional superstar, and it sure is a wonder as to why health experts aren’t rallying more (if at all) for this pervasive plant. Most of the research, however, focuses on the leafy portion of purslane, and I could devote an entire treatise on the health benefits attributed to its greens. I won’t do that now. Instead I’d like to showcase a part of the purslane plant that, while not gaining much mass attention, has been producing quite favorable results in scientific studies – and may confer health benefits to you, should you consume them. Consume purslane seeds, and your cardiovascular disease risk markers may improve. Sound too good to be true? Researchers have seen it firsthand. The most recent study involving purslane seeds and health was performed on obese adolescent participants, split into two groups (3). The first group (experimental group) was given one capsule containing 500 milligrams of powdered purslane seeds, two times a day for one month. The second group (control group) was given the same directions, though with a placebo capsule instead. Compared to the control group, the adolescents given purslane seeds showed statistically significant improvements in LDL cholesterol (conventionally referred to as “bad cholesterol”) and triglyceride levels – both of which, when elevated, are generally associated with an increased risk of cardiovascular disease. The researchers attributed this lipid profile-improving effect to purslane’s polyphenols and antioxidants, two classes of plant compounds which have been shown routinely to be protective of cardiovascular health (4). While the scientific literature is a bit thin when it comes to purslane seeds and lipid markers, this particular study’s results are very promising and warrant further experimentation. Type 2 diabetes, a condition characterized by insulin resistance, is the 7th leading cause of death in the United States. With nearly two million new cases diagnosed each year in the United States, it is important, now more than ever, to discover treatment methods that are cost-effective and safe … for example, purslane seeds. In a study published in the Journal of Ethnopharmacology, participants with type 2 diabetes were divided into two groups (5). The experimental group was given 5 grams of purslane seeds twice daily, while the control group was given metformin, a standard oral antidiabetic drug. Results showed that purslane seeds were just as effective as metformin in decreasing fasting and postprandial (after meal) blood glucose, as well as insulin levels. Additional results included a significant decrease in serum levels of triglycerides, total cholesterol, LDL cholesterol, body weight, and body mass index. The researchers attributed these effects to purslane seeds’ polyunsaturated fatty acids, flavonoids, and polysaccharides. Metformin doesn’t contain any naturally occurring polyunsaturated fatty acids, flavonoids, and polysaccharides, though its synthetic structure does rake in a pretty profit. It is the most widely prescribed antidiabetic drug in the world (more than 40 million prescriptions are administered annually in the United States alone). Despite tests, marketing, and hype, and like most prescriptions, metformin presents a host of side effects, including muscle pain, irregular heartbeat, dizziness, and fatigue. All the more reason to consider purslane seeds as a supplementary effective treatment for type 2 diabetes. Abnormal uterine bleeding (AUB) is a condition characterized by heavy, irregular, or prolonged menstrual bleeding, or unscheduled non-menstrual bleeding in premenopausal women. Quality of life can be severely affected due to pain and discomfort, and iron-deficiency anemia can result from excessive loss of blood. While drugs and surgery seem to be the preferred treatments in the United States, Iranian medicine treats AUB with purslane seeds. A recent study, published in Phytotherapy Research, gives this latter treatment two thumbs up (6). To discover the effects of purslane seeds on AUB, researchers recruited ten premenopausal women with AUB who did not respond to conventional drugs, and were candidates for hysterectomy. The women were administered 5 grams of purslane seed powder in a glass of water every 4 hours orally, 48 hours after the onset of menstruation for 3 days. Results showed that 80% of the women reported duration and volume of their bleeding had decreased, and the patterns of their periods had normalized. What’s more, a three-month follow up revealed that abnormal bleeding had not returned in the women who originally responded to the purslane seed treatment. Of course, the sample size was small (ten participants), and few (if any) additional studies exist on this subject. The results are promising, however, as both traditional (Iranian) and modern medicine have reported success using purslane seeds to treat AUB. Today, the standard treatment for abnormal uterine bleeding includes the levonorgestrel intra-uterine system, non-steroidal anti-inﬂammatory drugs, antiﬁbrinolytics, progestogens, oral contraceptives, danazol (a prescription drug), and hysterectomy. Purslane seeds, too, seem to be effective, though how much money can realistically be made from a plant that grows through cracks in sidewalks? The previous studies were all performed on human participants. While no research analyzing the effects between purslane seeds and liver cancer exists on actual human participants, we do have supportive evidence using human cellular cultures. A recent study found that an extract of purslane seeds reduced cell viability of hepatocellular carcinoma cells … cells that are responsible for the most common type of liver cancer (7). Parsley seeds (Petroselinum sativum), too, displayed similar anti-cancer properties against the same cells in this particular study. 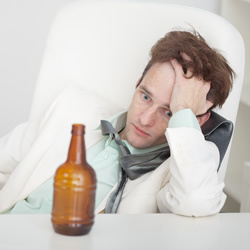 The 5-year survival rate for individuals with any stage of liver cancer is 15% … quite an astoundingly low percentage. Current conventional treatments include surgery, radiation, and chemotherapy – treatments which are all well-known to present serious side effects. 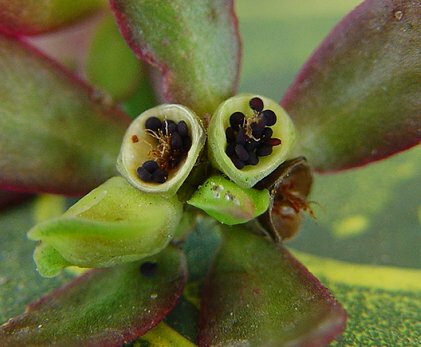 Purslane seeds may not save the world from any form of liver cancer, though they ought to be considered viable candidates, as research suggests, when evaluating potential therapeutic options. As mentioned in the last paragraph, chemotherapy is a form of cancer treatment that is routinely associated with damaging side effects. Doxorubicin, a chemotherapeutic drug used to treat cancers of the uterus, ovaries, breast, and lung, is known to cause unwanted toxicities of the heart, kidneys, liver, and testicles. Research has shown that an ethanolic (alcoholic) extract of purslane seeds and shoots demonstrated protection against doxorubicin-induced damage in adult male rats, all while improving liver function, increasing antioxidant activity, and decreasing oxidation of lipids (8). The researchers concluded that supplementation with purslane shoot and seed extracts may provide a cushion against the toxicity caused by doxorubicin … without producing any harmful side-effects. Further experimentation is warranted in this field, as research on human participants is limited. Using the information we have so far, we can currently hypothesize that purslane seed administration may indeed be an effective (and safe) supplemental option in human cancer treatment. And there we have it: 5 documented health benefits of purslane … seeds. Of course, many more benefits exist, as purslane seeds contain important nutrients, including α-linolenic acid (an omega-3 fatty acid), vitamin E, and antioxidants. If you’ve made it down this far in the post (thanks, I appreciate that! ), it should be quite apparent: when we neglect to consume purslane seeds, we are missing out on critical nutrition and medicine. Easy fix, though … on your next jaunt through your favorite purslane patch, and if the season is right, spend a few moments (or several) harvesting the seeds. Simple, really. Common dietary advice almost always includes some variation of the phrase, “Eat more fruits and vegetables for good health.” Pick up most diet books, talk to the health professionals, and look at the research: fruits and vegetables are nutritional superstars. Less often do we hear the phrase, “Eat more mushrooms for good health,” and if we look at the research, one may wonder why we neglect to include our fungal friends in the dietary limelight. Perhaps we tend to lump them into the category of vegetables (this is what I was taught to do in my nutrition classes, for example, when creating meal plans), though if we study the biology of mushrooms, they more closely resemble fruits in their reproductive roles. Or perhaps here in the United States, mushrooms just haven’t found their way into our national cuisine (though edible fungi have been on this continent far longer than bread and boxed cereal). Whatever the reason, it’s all a bit unfortunate. Many mushrooms are quite nutritious, and many are medicinal. I’ve previously written about the nutritional benefits of morel mushrooms, and would now like to explore the world of yet another equally impressive fungal ally. All mushrooms contain a fungal cell membrane molecule known as ergosterol. Upon UV exposure, this compound is converted into ergocalciferol, or vitamin D2. Some mushrooms contain more vitamin D2 than others depending on the species, environmental conditions, and post-harvest treatment. Maitake mushrooms, at 100 grams of fresh material, have been shown to contain more than 2,000 IU of vitamin D2 when exposed to supplementary UV treatment (1). To increase the vitamin D2 content of your mushrooms, place them gills-side-up under direct sunlight. Sliced mushrooms will yield even more vitamin D2, as this method increases surface area and allows more ergosterol to be exposed to sunlight (2). In one clinical trial, D-Fraction was administered to cancer patients without the combined use of conventional therapies. As a result, metastatic tumor growth slowed down, tumor lab markers decreased, and natural killer cell activity increased (natural killer cells are immune system cells that play a role in inducing tumor cell death). These results were witnessed in all patients (3). Other studies have shown that D-Fraction can induce cellular death (a process known as apoptosis) in human breast cancer cells and advanced renal-cell carcinoma cells (4, 5, 6). Additionally, D-Fraction has been shown to reduce bladder cancer cell growth and has been linked to bladder cancer disease remission (7, 8). For many of the same reasons that maitake may help protect against cancer, it also plays a critical role in supporting immune system health. Maitake contains important polysaccharides which, as mentioned previously, help to enhance the activity of certain immune system cells, such as T cells, B cells, macrophages, and natural killer cells. Ultimately, polysaccharides from the maitake mushroom act as immune system regulators (9). Additionally, many medicinal mushrooms are known for their immunomodulatory effects, and maitake is no exception (10). Immunomodulation is the process of enhancing, stabilizing, or depressing the immune system depending on circumstances. For example, stimulating the immune system is necessary in instances of viral or bacterial infection. Depressing the immune system may be desirable when experiencing the effects of autoimmune diseases. Beta-glucans from maitake mushrooms have been shown to play a key role in the immunomodulatory process (11). A hot-water extraction of maitake mushroom has been shown to exhibit anti-angiogenic activity through its antioxidant actions against free radicals (molecules that can lead to the oxidation cascade). Angiogenesis is the process whereby new blood vessels are formed from the preexisting vascular system. While this is a normal part of the wound healing process, angiogenesis is also involved in tumor progression from the benign to malignant state. Administration of maitake mushroom, therefore, may be a unique approach to combating angiogenesis (12). Antioxidants isolated from maitake mushroom have been shown to be effective against other reactive molecules found in our bodies, including the hydroxyl radical and the superoxide radical (13). These molecules may play a critical role in several diseases, such as hypertension, cardiovascular disease, and myocardial infarction. Consumption of maitake mushroom with its naturally occurring antioxidants, including its phenols, flavonoids, ascorbic acid, and α-tocopherol may be a wise strategy in protecting the body against diseases associated with oxidation (14). 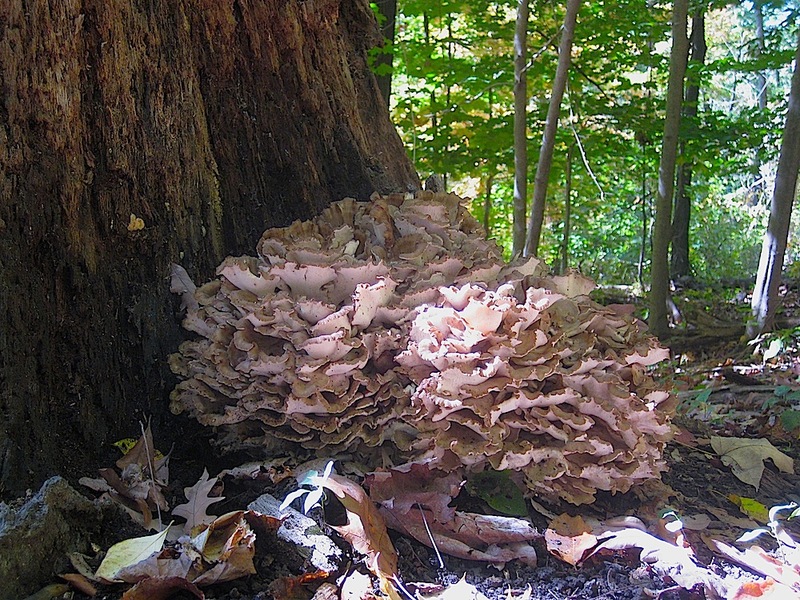 Maitake mushroom extracts have been shown to demonstrate protection against diabetes in several studies. For example, research has looked at the ability of maitake mushroom extracts to inhibit alpha-glucosidase, an enzyme that breaks down starch and simple sugars to glucose (15). By inhibiting this enzyme, glucose absorption slows down in the body. Not surprisingly, many oral anti-diabetic drugs are alpha-glucosidase inhibitors. Because maitake mushroom naturally contains alpha-glucosidase inhibitors (how many times must I type alpha-glucosidase? ), this information may be of importance for individuals seeking to bypass conventional diabetic medications, which usually present a host of unwanted side effects like severe stomach pain, constipation, diarrhea, and jaundice (plus, hunting for wild maitake in nature is a lot more exciting than spending time under fluorescent lights at the local pharmacy … just my opinion). If you’re interested in learning how to properly identify the maitake mushroom, check out the video! Thanks for reading and watching, and as always… happy foraging! If you are dumping ice on your head and donating money in support of the Amyotrophic Lateral Sclerosis Association (ALS Association), your acts are commendable. Consider this, however: we may all be contributing to the incidence of this disease without even knowing it. You see, only 10% of all cases have a genetic basis; gene-environment interactions account for the rest (90%). Researchers from a 2013 review hypothesized that pesticides were involved in the pathogenesis of ALS (1), and a recent meta-analysis, referenced in this review, found that ALS risk was associated with the use of organochlorine insecticides. These are some of the most nefarious chemicals present in our ecosystems. A few have been banned in the United States (DDT), though their effects are still lingering. Other organochlorine chemicals are still being used, not only in our food supply, but in our cosmetic products as well. 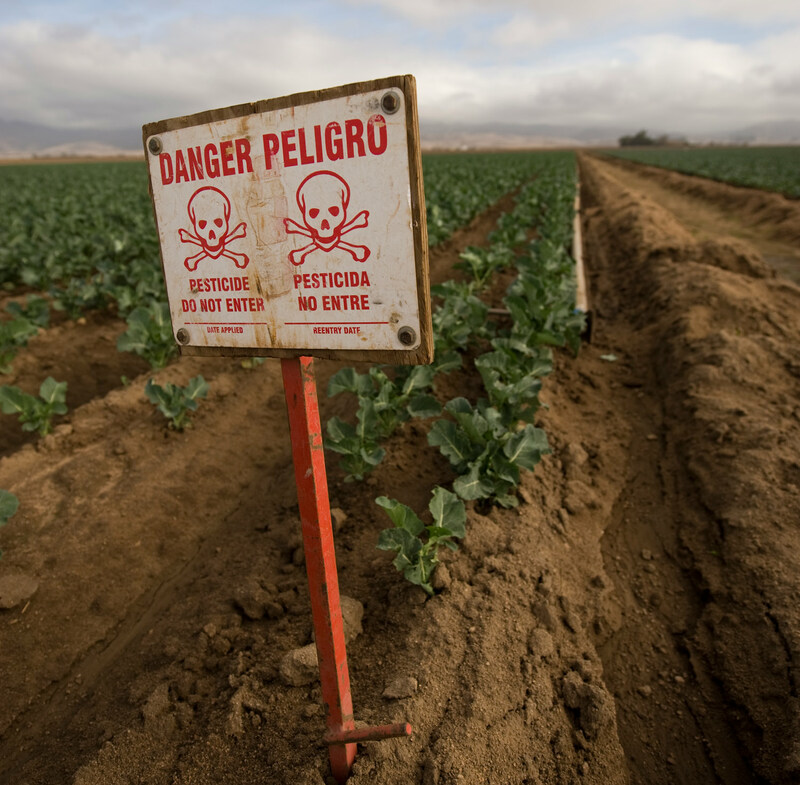 Pesticides have also been linked to other neurodegenerative diseases, such as Parkinson’s and Alzheimer’s diseases (2, 3). Dumping ice on our heads and donating money to the ALS Association are fine acts indeed. If we are then still consuming any food that is not grown organically and/or wild harvested, we are turning around and throwing money at an industry that may be contributing to the risk of ALS. Every single time we do not consume organically raised food, we are literally supporting an industry that is willingly poisoning our food supply, poisoning our ecosystems, poisoning every living organism, and ultimately – poisoning our future generations. Eating organic and/or eating from the wild is not the right thing to do because it’s hip to do so, or because it’s trendy, or because it’s posh. It’s the right thing to do because our health absolutely depends on it. The health of every living organism depends on it. The health of anyone with ALS depends on it (Morahan et al. found that those with non-genetic ALS have an impaired ability to detoxify pesticides, 4). Here’s a new challenge, and a more pertinent one at that: Eat organic, or better yet – eat from the wild. I’ve written about this before, and other wild food advocates have concurred: wild plants, on average, contain more vitamins and minerals than their domesticated counterparts (wild lettuce vs. iceberg lettuce, wild blueberries vs. cultivated blueberries, etc.). This is one of the many reasons why I strongly encourage others to adopt a wild food diet, even if that means consuming only one wild species per day. Let’s take a look at vitamin C, conventionally known as L-ascorbic acid. If you ask the average person which foods are high in vitamin C, you will almost always receive the same answers: orange, orange juice, and other citrus fruits – sometimes red pepper (Go ahead, try it. Ask someone which foods are high in vitamin C, and I’d be surprised if the answers differ). Foods from the supermarket can certainly provide enough vitamin C to meet the recommended RDA, though it’s actually much easier to do so from fresher sources. You see, vitamin C is a delicate molecule, and its content in food decreases significantly during storage. For example, potatoes lose 50% of their vitamin C within 5 months of storage, and 65% within 8 months. During winter storage, apples can lose up to 50% of their vitamin C, and cabbage up to 45% (Combs, 2012). The mechanism at play here is oxidation, where ascorbic acid is oxidized into dehydroascorbic acid.